Carpenters Finance Limited customers in the West can now have more access to its services after it opened its newest centre on Main Street, Nadi. 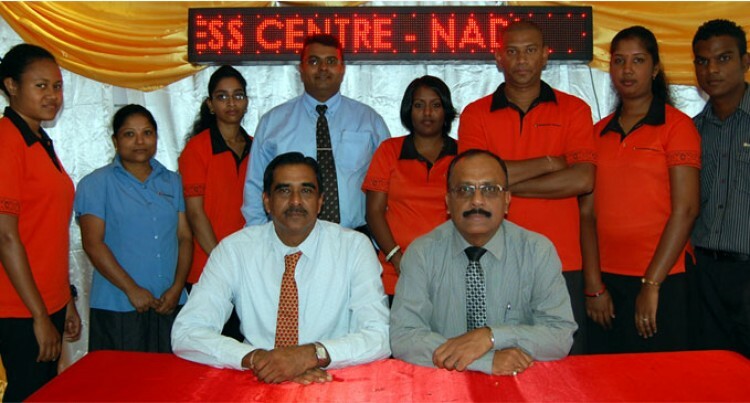 General Manager Alok Mishra said: “We are very glad with the opening of our centre especially since we have been looking to settle in Nadi but because we had more clients in Lautoka we decided to build our centres there. “Nadi is one of the most important areas for any business to open in and for that we were very fortunate to secure a space,” he said. The centre will be a one-stop-shop for all Carpenters Finance-related services. “In the centre we have tried to make things more convenient for our customers just last week we launched travel finance. “Travel finance is basically about any travel abroad on in any outer island where we can finance on,” Mr Mishra said. He said that though it is a premature start they hope to make a positive impact to the public. “This will be a great business to Nadi and I remain optimistic that we will do great. The company is believed to open another centre at Ba Town in one month time. Meanwhile Nadi Town Council special administrator, Robin Ali was thankful to the company and looked forward to future partnership with the company.